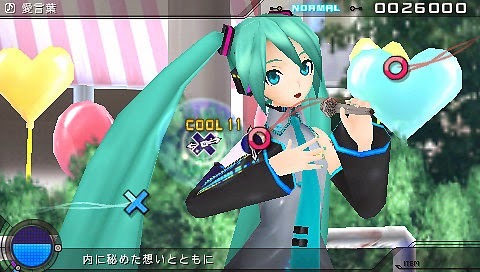 Miku and her Vocaloid friends are back for their second game on the Sony PSP. There are more game modes and more fun. Edit your music videos and test your reflexes. 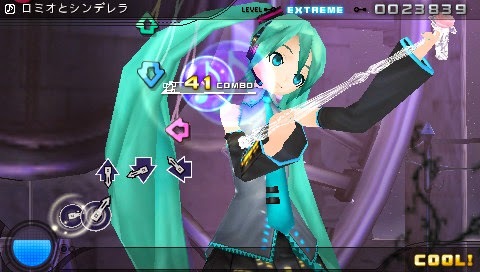 The games are more challenging now, with eight buttons, long presses and simultaneous presses.The song list is updated with recent hits and the edit mode is easier to use. 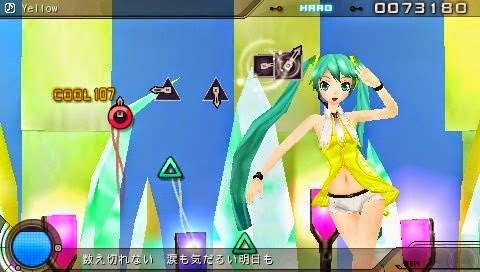 There are more options for you to customize the characters or their stages. 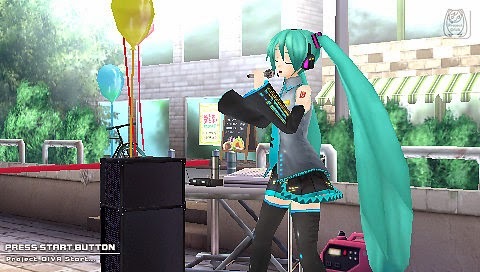 You can have the Vocaloids perform duets, but of course, before sending them on stage, you might want to play with their outfits, every Vocaloid has more costumes and accessories. 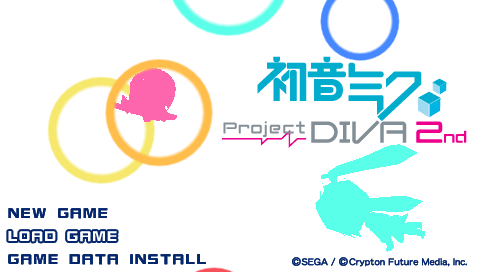 The Vocaloid is for you to make into a star, get your diva today! 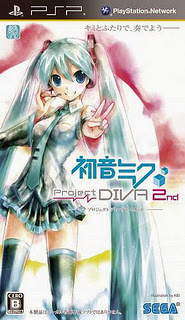 0 Response to "Download Game PPSSPP Hatsune Miku - Project Diva 2nd [English Patched v2.8a]"